Last September I did a post rounding up small brands that I had tried, but weren’t quite good enough to recommend with a full write-up. It went down well, and seems like a good vehicle to mention some of the dozens of start-ups that contact me every month. I would emphasise that these brands weren’t quite right. They often have good ideas, and may well go on to develop a great product. They’re just not there yet. And the vast majority I never even try – because as far as I can tell they have no USP, or they’re just not suited to Permanent Style. Into the former camp fall 20 or more guys who promise to “revolutionise” made-to-measure shirts online. Into the latter fall bizarre outfits like Comfyballs. I just cannot seem to unsubscribe from their emails, no matter how hard I try. Vocier is a strong starting point. A luggage company launched by two young German guys I met last year, it has created a genuinely innovative approach to packing suits. 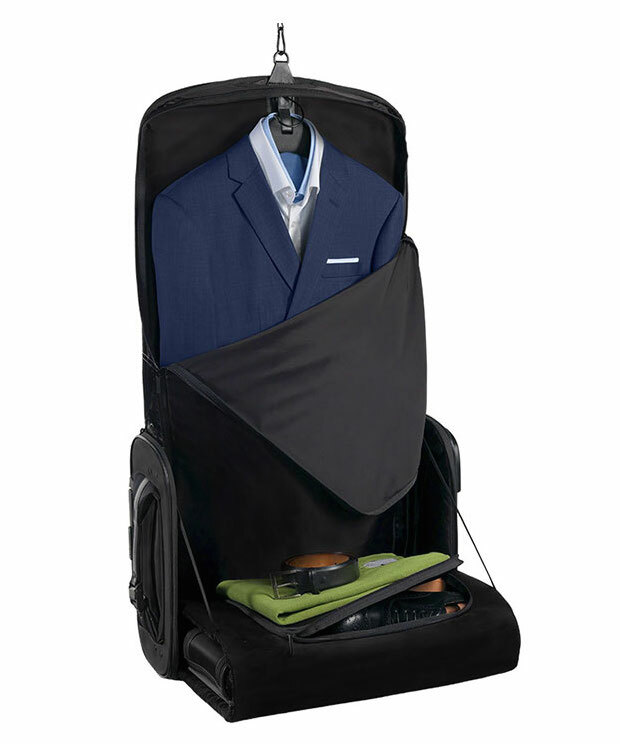 Their core product, the C38, is a suitcase that is designed to wrap a suit carrier around a central compartment of shoes and other clothing. There are some other nice touches, such as a wash bag accessible from the outside, but it is this wrapping that’s key. We all know it is hard folds that create creases. That’s why you should fold jackets or trousers around each other, or around knitwear, so the fold is rounded and softened. The C38 does this for you, by wrapping the suit section around everything else. The only problem is that the central section becomes rather fiddly. It has to be loose, yet attached by straps to the main body. Fitting it back in is not easy. 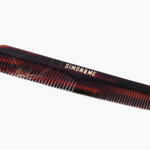 Overall, the make is also not good enough to recommend on Permanent Style – though a luxury version is apparently coming. The C38 has done well since it launched, and won various design awards. But at the moment I would say it is not intuitive enough to recommend. There is rather less of note to say about Simon & Me, although their aesthetic looked initially interesting. A small shop in Berlin, it aims to strip back the branding and superficial decoration of products such as T-shirts, bracelets, combs and bags. Unfortunately, the things underneath that branding have nothing that unusual about them. Unlike the other things we discuss on Permanent Style, there is nothing in the craft or design that sets them apart. They are simple, and functional, but we aim rather higher than that. 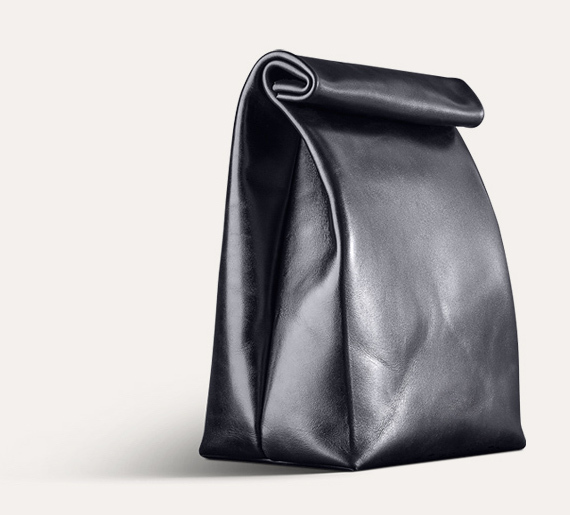 As previously mentioned, many small companies go into leather goods, for several reasons: there are simple production requirements, it is easy to innovate, there is no need for sizing, items can appeal to men and women, and there is still a good number of leather factories in Italy and Eastern Europe to work with, leading to small minimums. Moreca, based in Ukraine, has a number of interesting products. 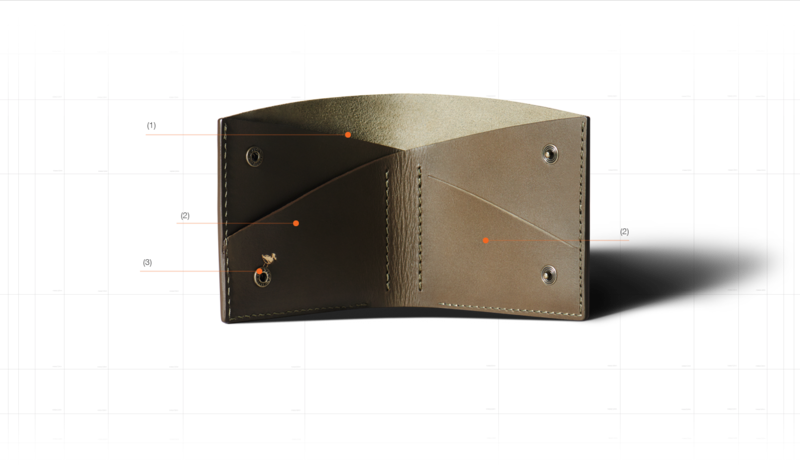 Its Bifold (pictured top), a stripped-back wallet design with slit pockets, is superficially more interesting than all of the wallets that are launched on Kickstarter every year. I tried the Bifold, however, and the leather is too thick to be functional. It requires two poppers to keep it closed, and wouldn’t fit in a pair of jeans, let alone a jacket pocket. 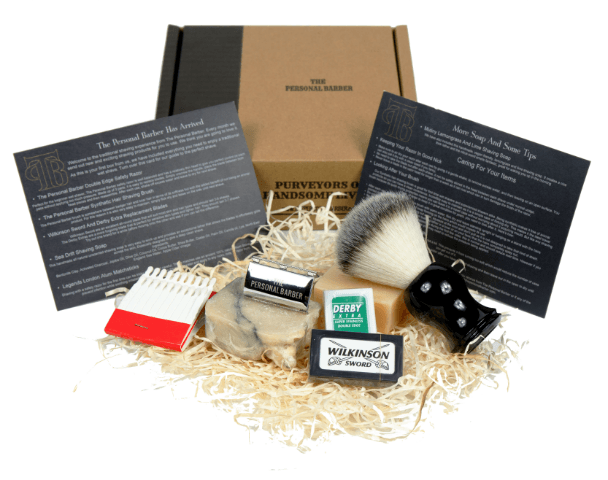 A shaving-kit-by-post business. Unlike Cornerstone, which we mentioned last time, The Personal Barber aims to switch men to the traditional wet shave, by regularly sending safety razors and a selection of soaps. I don’t particularly like safety razors, but I know others that use them a lot. My critique of this service is that cheap razor blades are not hard to find – unlike the Mach 3s of this world, which are certainly easy and effective but are ludicrously overpriced. Overall, the product is also not high-end enough, offering a synthetic shaving brush for example (it’s worth paying the extra for badger). 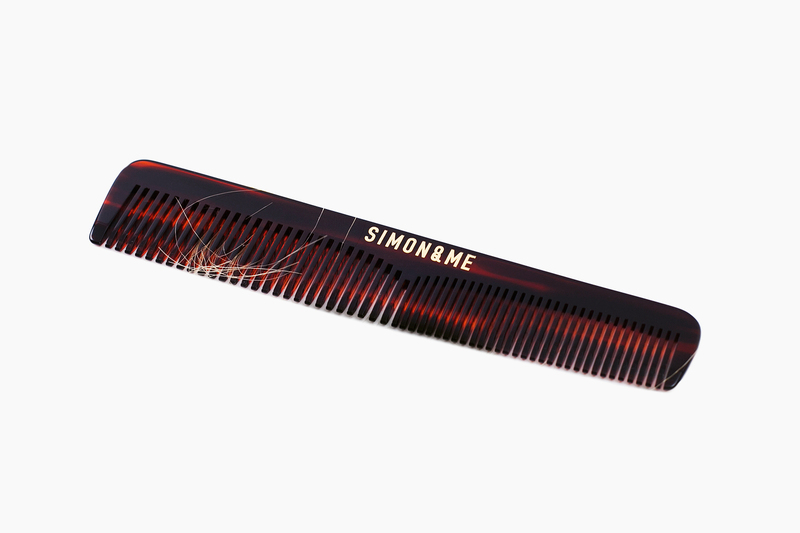 You can follow the discussion on Brands review II: Vocier, Simon& Me, Moreca, The Personal Barber by entering your email address in the box below. You will then receive an email every time a new comment is added. These will also contain a link to a page where you can stop the alerts, and remove all of your related data from the site. Simon have you come across arkin supply. They make small leather goods, wallets mainly but it seems from her website there is a lot that will appeal to the PS reader at a very reasonable cost. Have not had the chance to order as yet but will be soon. I haven’t Adam, thanks for the suggestion. 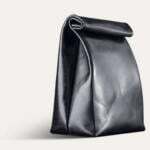 One of the hardest things with leather-goods companies is innovating while remaining practical. There are only certain things, after all, for which we require leather products – and they all have quite specific requirements. From what I can see from Arkin, they have erred on the conservative side, and in fairly thick leathers. I commissioned a jacket to my tailor and I have a little dilemma about length. I have quite short legs in relation with my torso and a jacket of regular length makes my legs even shorter. My tailor says a shorter jacket would look better on me, but this way my rear is not entirely covered. What do you think? With regard to your reply to Enzo, I suffer from the same issue to a degree and get my tailors to make the rise of my trousers higher. It gives the effect of longer legs, just as long as you don’t go into Old Man or Zoot suit territory and have the rise above your navel. For sensibly designed wallets, you could take a look at Bellroy; I have had their products for some while, and they perform very well, both in function and durability. 1 kg weight reduction by using high tech foams from Zoatfoam UK, while maintaining the same stiffness and shape. This is a huge improvement. The quality of the telescopic handle has been improved and it fits more accurately into the luggage now providing a more high quality feeling and handling. The hanger system has been completely reengineered and now includes a wider frame for even larger jackets and is finished with a non-slip coating. This prevents trousers and jackets from slipping off the hanger system. For the side handles the magnets have been exchanged for push buttons that close more tightly and are unable to open accidentally. A stronger magnetic fastener from Fidlock GmbH in Germany is used for the handle on the top of the C38. This new fastener system can carry weights up to 60kg. The YKK zippers can be opened and closed even more smoothly. The inside compartment for the wash bag is now adjustable in size thus optimizing the space of the inside compartment. Further due to feedback from our customers the laptop pocket has been removed this also means that there is more space available for other essentials such as shoes, shirts and more.